This is awesome. You guys are the best. Great job everyone!! 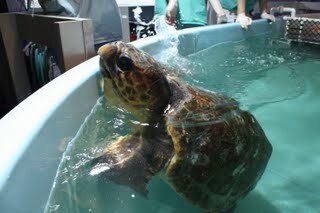 I love those beautiful Sea Turtles, thank you for all your hard work!! Especially you Adam!! You are the best!! I would just like to leave this comment to show my appreciation for what you guys do. Living in Florida and working in an aquarium I know first hand the dangers sea turtle encounter everyday and I completely love you guys for what you do.